My kids have been obsessed with space for almost a year now, and just when I think we’ve done everything space-related that I can think of, a new space craft or science experiment pops into my head. 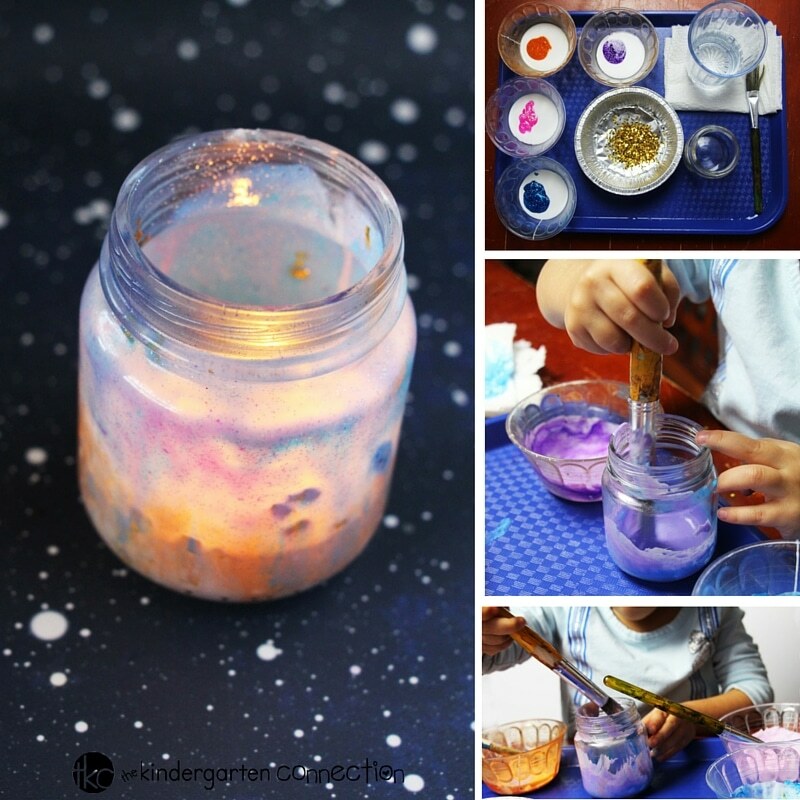 If you are looking for a fun space craft for kids, This Nebula in a Jar is great to make after learning about this gorgeous space phenomenon. 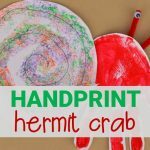 It also doubles as a gorgeous kid-made gift! 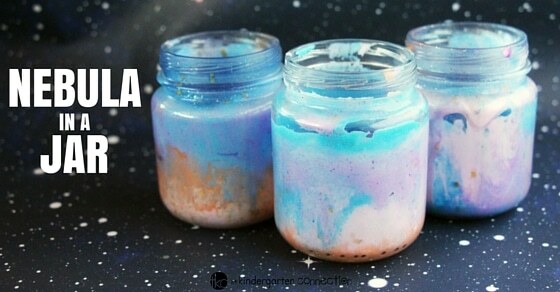 I had previously seen galaxy jars that used colored water and cotton balls in mason jars to give this starry effect, but I wanted to make something that would require less assistance from me, and would have a longer shelf life than something containing water. 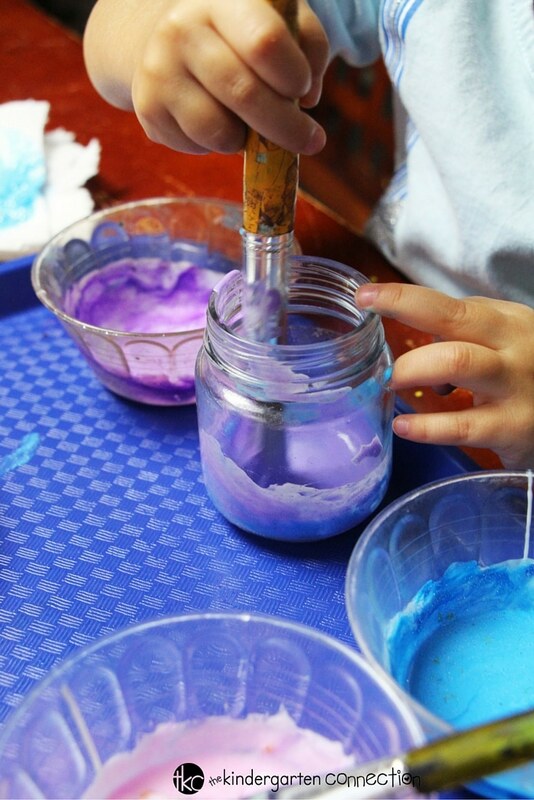 These Nebula in a Jar (or Galaxy in a Jar, if you prefer) are a great classroom craft – the baby jars are the perfect size for little hands and you can often ask for parents to donate any they may have at home. 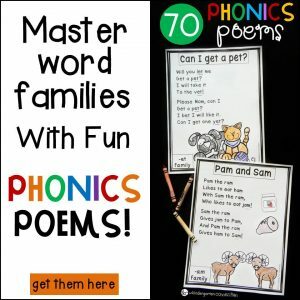 The rest of the materials are very affordable, yet still allow children to have a fun process-based art experience. I also like to put my kids’ crafts on trays, a habit from my Montessori background which I actually think works really well with crafts. 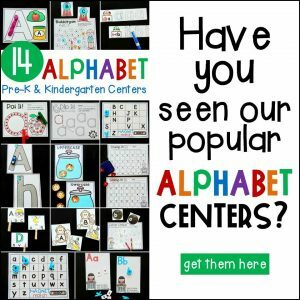 The children understand that the tray is their designated work space and tend not to spread out or invade a neighbor’s space and supplies when they are working on a tray. Using the trays also makes clean up easier and is great if you have a messy craft that needs a safe place to dry. First, you’re going to want to spend some time exploring what nebulae are and what they look like. Nebulae are gorgeous, multi-colored clouds of dust and gas in space – and if you have any Star Wars fans in your group, you might want to ask if they remember the nebula from the movie. 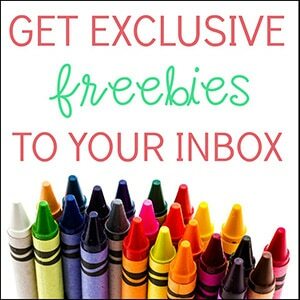 Make sure to point out the swirling colors! 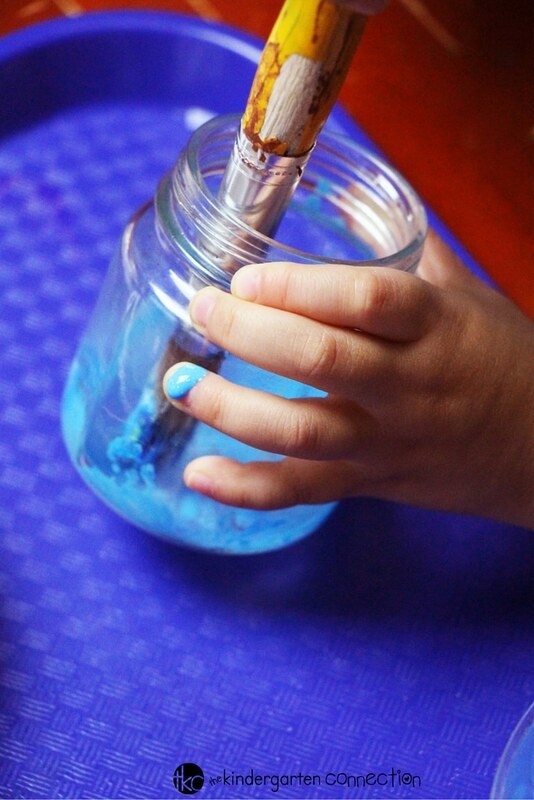 For this craft, the paint needs to be applied to the inside of the jar – that way it won’t get chipped. 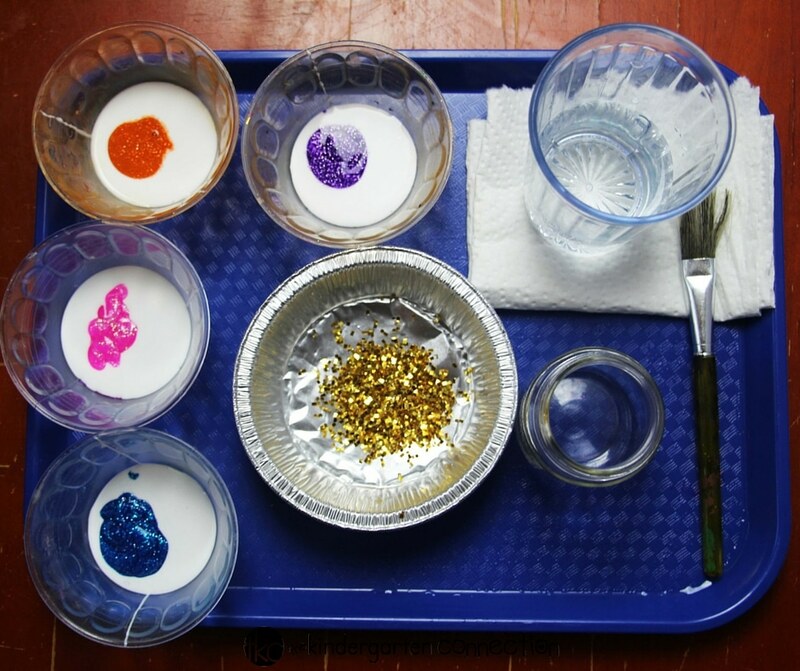 Mix the glue with the glitter paint – and add extra glitter if you’d like. We used a lot of glue – maybe 8 parts glue to 1 part paint. There’s no real science to it, but you want your paint to be mostly glue while still having a good amount of color to it, as the glue will help prevent the paint from chipping. Create stripes, or clouds, or layers of the paint in the jar – there is no wrong way to paint your nebula. Have the children focus on the process of painting. Rotating the jar in their hand and ensuring that they cover the entire inside of the jar, problem solving how to apply paint at different angles, and figuring out how to control the paint dripping and blending together. Once the entire inside of the jars are coated with paint, have children help wash their brushes and place the jars somewhere safe to dry. 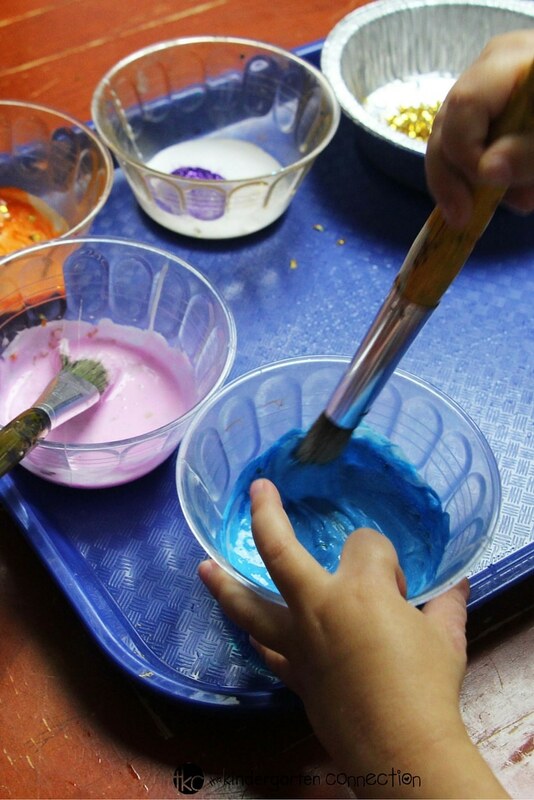 If the children have dropped lots of paint into their jars you may need to first let the excess paint drip out by placing the jars upside down on one of those kitchen trays. When the glue-paint mixture dries, it will become somewhat translucent, making it a perfect option for a tealight candle holder. Are your children fascinated by outer space? 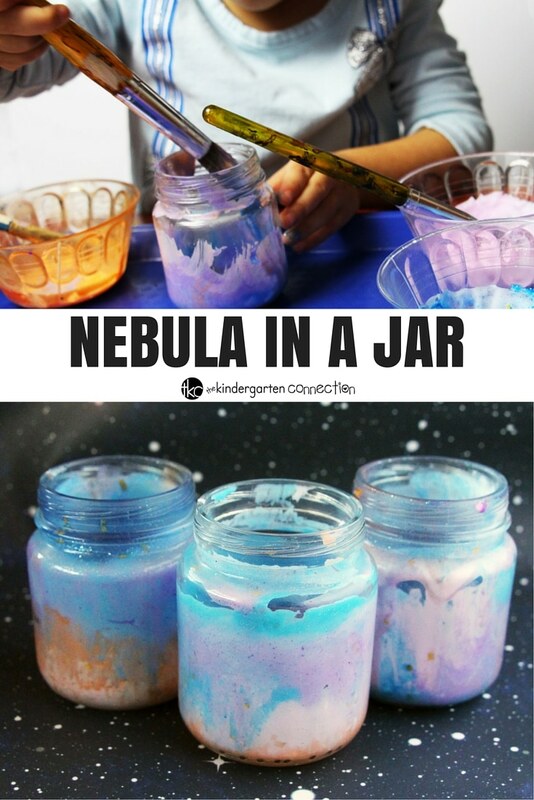 Would they enjoy this nebula in a jar craft? Which changes would you make to this craft for your group? 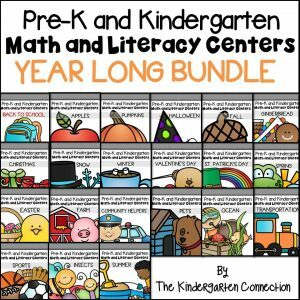 Kids still loving learning about space? 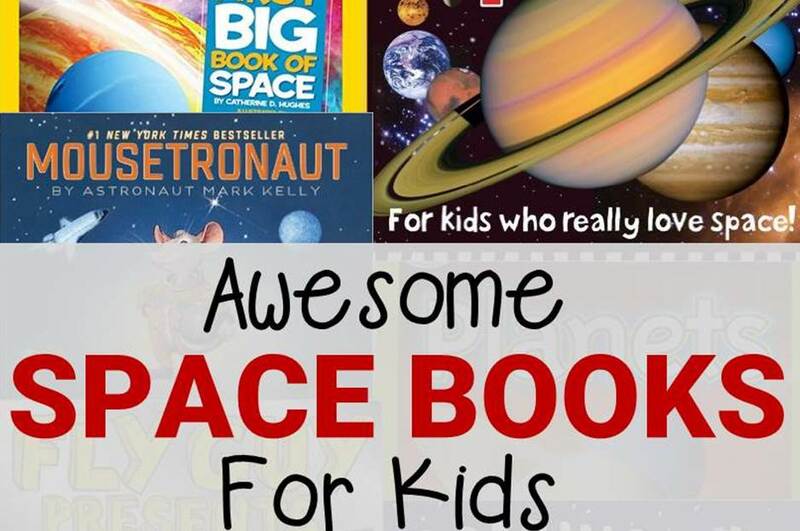 Hop over and read our favorite space books for kids!